You would have come across several articles that claim that eating fish twice a week puts an end to various health issues and eliminates several health risks. In today’s show we delve into the truth behind this fact. Fish especially those that have darker flesh like herring and salmon are chock full of heart healthy, good unsaturated, omega 3 fatty acids. Though these good fats impact your health in a good way, this is not the sole benefit of eating fish. The dietary guidelines proposed by the US health department state that adults should eat around eight ounces of fish and other seafood every week to get the whole lot of benefits of fish. The nutrients in seafood include Vitamins A, D, B, lean muscle building protein and other minerals like iron, zinc, selenium and iodine. Fish is very low in cholesterol as well as saturated fat. Hence pregnant as well as breast feeding women are encouraged to eat around twelve ounces of fish. However you should avoid fish that has high methyl mercury like shark, tuna, sword fish and mackerel. 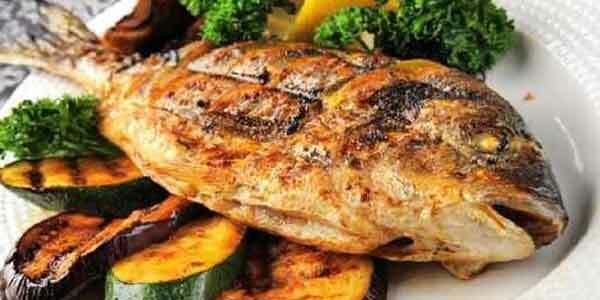 Fish is a preferred choice for protein than meat. Most people though only consider the omega 3 present in fish and do not consider a whole lot of other benefits that eating fish provides. On a comparison between the same portion size of cod and T-bone steak, it is found that fish contains twenty six grams of protein and only one gram of fat. The steak on the other hand though contains more proteins contains a higher amount of saturated fat. So, fish wins the battle hands down when it comes to the best source of protein. However, remember that the nutrients depend on the type of fish you choose. So try to include all types of fish in your diet and do not forget to include nutrient rich river water fish. Enjoy your fish and spike your health benefits! Read also: What’s In Trend In The Music Industry Right Now? With mounting technology, there arises an array of health hazards. Spending long hours online results in a myriad of cerebral issues. Internet Addiction Test, a tool for determining internet addiction was found as early as 1998. With a drastic change in the use of internet over the past years, question the reliability of this tool. Dr. Michael Van Ameringen, professor of behavioral neuroscience at McMaster carried out a research for estimating internet addiction among a small group of teenagers with a new screening tool. Almost all teenagers displayed signs of depression, impulsiveness, anxiety and stress indicating high levels of internet addiction. The addicted lot were not able to control their online usage. The researchers also found that the teenagers were found using instant messaging tools and social networking sites throughout the day. They also exhibited a compulsive behavior which resulted in an inability to handle day to day routines. Most often internet addiction goes unnoticed. Many times this lesser known phenomenon leads to severe psychopathology. All studies on the prevailing internet addiction still remain in its preliminary stages. Dr. Jan Buitelaar, professor of psychiatry at Radboud University says, a bigger sample from a wider and mixed population can provide a better research output. Jan Swasthya Sahyog is a health organization located in Chhattisgarh, an underprivileged state in India. A group of five doctors with a selfless drive started the Jan Swasthya Sahyog. The relatively smaller rural hospital provided health care services to rural and tribal communities. The health care strategy adopted at the Jan Swasthya Sahyog is indeed practical, very human, intriguing and effective. The doctors provide the best treatment based on the limited resources available. They even offer reliable health care to the deadliest of cancers. The Jan Swasthya Sahyog is a remarkable initiative as a community health center. The passionate doctors at the institution never exhibit exhaustion. The doctors at Jan Swasthya Sahyog being trained at the top medical schools to display an exclusive attention towards offering unswerving health care services. The doctors remain contented just by treating the patients. The rural clinic called Bhamni, a part of the Jan Swasthya Sahyog serves the tribal people too. The doctors treat the tribal population suffering from different medical conditions with more warmth. The health care services offered at the Jan Swasthya Sahyog is not considered as a moneymaking business. The services offered are direct and it served people who indefinitely needed care. Humanity and utmost medical care are the two prime words that run this drive.